Watch full RWBY Season 5 Episode 10 full HD online. Cartoon video RWBY Episode 62 online for free in HD. Qrow receives a call from Lionheart while talking to Ozpin, but they are suspicious. 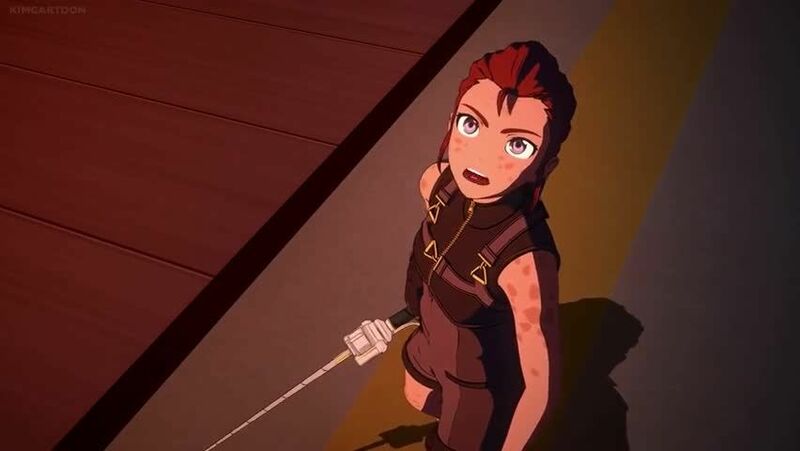 As Blake and Ilia fight, Ilia becomes lost between following Blake and the White Fang. When the Albain brothers intervene, Fennec is killed and the Belladonnas and Sun are victorious in their battle. Blake convinces the Faunus of Menagerie that they need to stop Adam, and the majority join her, including Ilia. 4.8 / 5 - 37 ratings.